Principia has chosen male cancer charity, the Orchid Cancer Appeal as its long term charity partner. 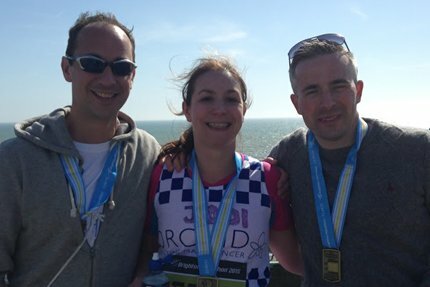 Our staff are working hard to raise vital funds and awareness of male-specific cancers – testicular, prostate and penile cancer – in a number of ways, including supporting Community Roadshows and joining fundraising events such as marathons, challenges, skydives and collections. Rebecca Porta, Chief Executive at the Orchid Cancer Appeal said: "We are absolutely thrilled that Principia have chosen us as their charity partner. They are a great, enthusiastic team who are really committed to making a difference. 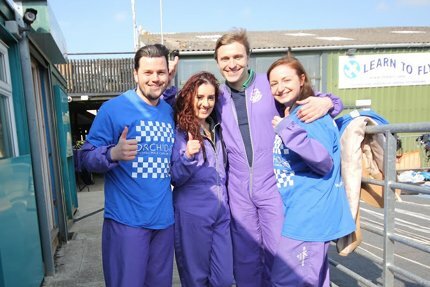 Already staff have signed up to take on a skydive challenge and a variety of other challenges including running and cycling events! Over 43,000 men are diagnosed every year in the UK with testicular, prostate and penile cancer and cases are on the increase. The partnership will provide a huge boost for our vital work raising funds and awareness across the UK and we are very grateful to everyone at Principia for making this possible". 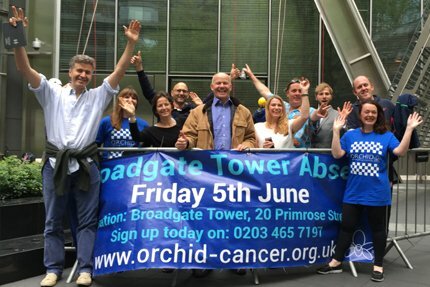 We are very proud that our staff have embraced the cause by volunteering to help with Christmas collections in South Kensington, sky-diving over the Oxfordshire countryside, and abseiling down one of the tallest buildings in London – all in all raising many thousands of pounds for Orchid. We hope to also involve suppliers and customers in our partnership and will keep you well informed on our progress in your wider involvement. Over 43,000 men are diagnosed every year in the UK with testicular, prostate and penile cancer. Orchid is the UK’s leading charity working in the area of male-specific cancers. Established in 1996 by testicular cancer patient Colin Osborne, and the oncologist who saved his life, Professor Tim Oliver, the charity provides support to people affected by or interested in these cancers through funding a world-class research programme, awareness and education campaigns and a range of vital support services. These services include Orchid Male Cancer Information Nurse Specialists, a freephone National Male Cancer Helpline, a Testicular Cancer Counselling Service, a portfolio of publications, an award winning DVD ‘Know Your Balls-Check Em Out’, a testicular cancer microsite and schools resource pack “Your Privates”, a dedicated website, newsletter, Roadshows and a unique Community Golf Programme. Orchid works closely with health and social care professionals, community groups, schools and universities, other not-for-profit organisations, the business community, MPs and the media to raise awareness of these cancers and to campaign for better care and services. Orchid has achieved significant success in a short space of time and supported thousands of men and their families. However, there is still more work to be done and demand for these services is increasing year on year. The charity relies entirely on voluntary income to meet its commitments. Registered in England with the Charity Commission No 1080540.